Gorillas are perhaps one of the most beloved species in the animal kingdom. Their mischievous, cheeky and human-like characteristics bring a smile to faces worldwide. They are famed for living in tropical jungle environments and their love of bananas. What’s not to like! 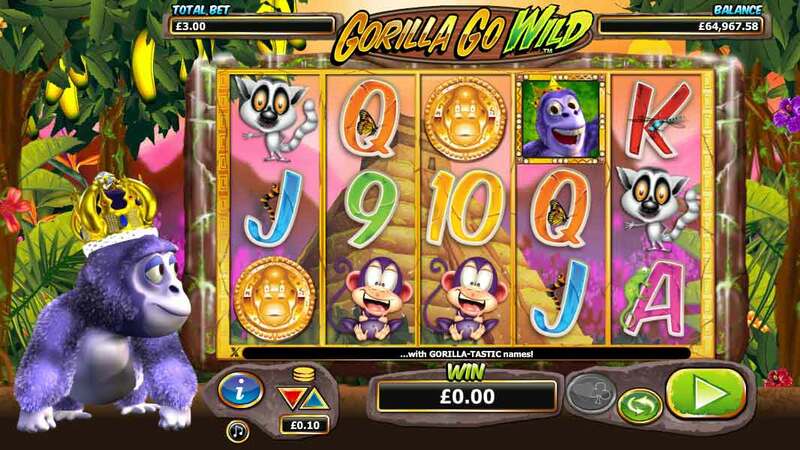 Anyway, enough of the monkey-business; be sure to check out our amazing online slots game “Gorillas go Wild”. Within moments you will find yourself swinging through the bonus rounds and immersed in a tropical jungle environment with our realistic sound effects and quirky jungle animations. 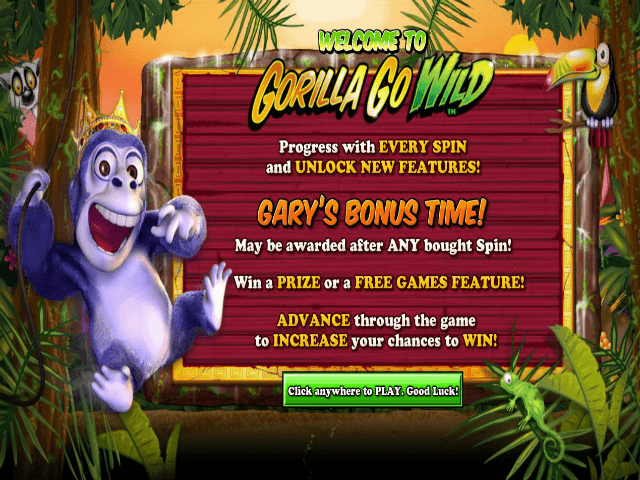 This easy to play slots game is accessible via mobile, tablet, computer and laptop. So relax, peel a banana and choose your method of play. Looking for more? Find all our online slots here! Learn about online slot games from this reputable developer! The aim of the game is to collect as many coins as you can, as you unravel through the realms of this online slots game. The coin system is ranked in chronological order: collect a symbol three, four and five times for a coin reward, the coin reward becomes greater for each symbol collected (maximum five). The symbols are broken down into a low pal and high pay symbols. The low symbols consist of ‘numbers and letters’, with the coin reward ranging from 5 coins to 100 coins. Read more from our guides to learn more. Scatter wins, similar to a wild symbol, these will appear randomly and grant you features such as bonus rounds or a score multiplier for example.